← Like I said, we were up to something. 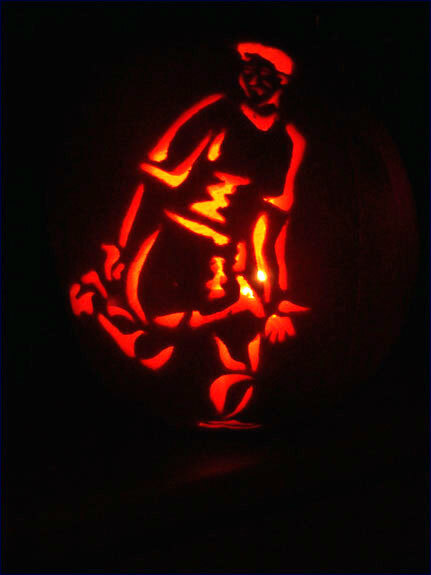 Here are the individual photos of the team pumpkins we carved before the Eastern Conference semi-final vs. the Metrostars. Not pictured–at least not in this batch: the pumpkins depicting Slyde, the team crest (as seen on TV! ), and the Midnight Riders crest. The lineup was chosen based on a normal starting XI plus full subs bench, with the subs bench chosen based on players who made their mark on the team this year (e.g. Warren stepping up for the game in which Reis was suspended). 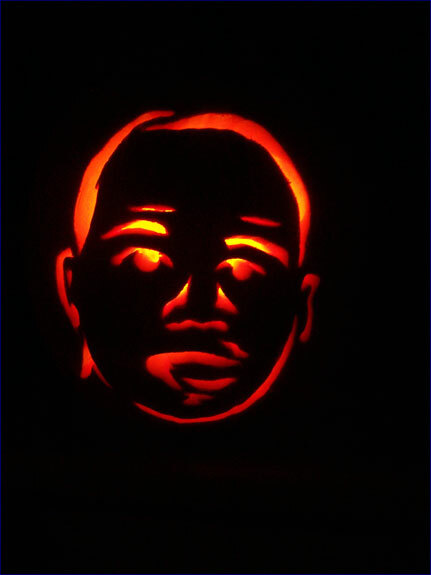 Unfortunately, time and budget prevented us from rendering the entire team roster in pumpkins. All total, these took about 20 hours or so of work to do, not counting the afternoon I spent buying them. We started on Thursday, spending a few hours cleaning all the pumpkins at once, then on Friday I took the day off work and spent the morning drawing all the templates, for which Magpie dug up most of the source photos. (I used my laptop as a lightbox to get rough proportions/outlines done, then freehanded the details. There are some people who just take photos and bump the contrast up in Photoshop to create templates to print out; I take a dim view of this as cheating, although I do use printed templates when it’s a corporate logo and accuracy is paramount). The source photos were all various team action/sideline shots rather than their roster photos, the use of which I figured would be akin to using their drivers’ license photos. 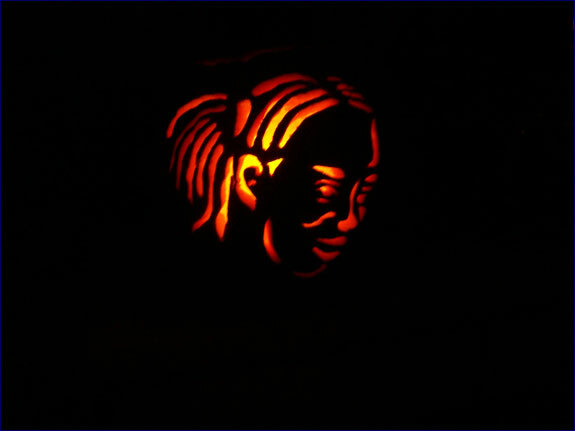 We then spent from about noon until 9pm on Friday carving all but the logos and mascot, which I did Saturday morning. Got ’em in cars to the game, and presumably into the stadium to the team. Special thanks to Mike and Julie for transport, and to Brad and Craig for team arrangements. Much like the Rev win in the night’s match, I honestly can’t believe we pulled this off. 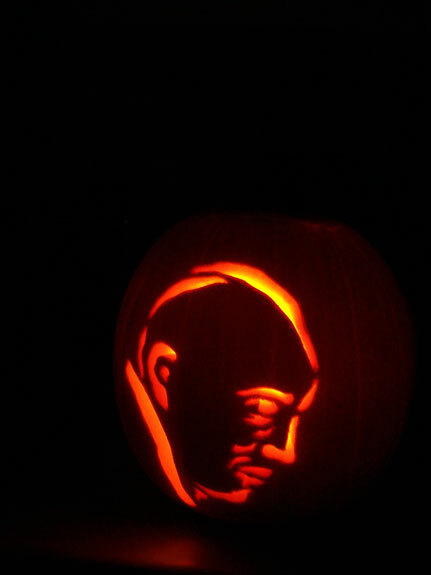 Matt Reis, from the DC game where he was suspended, carved by Magpie. 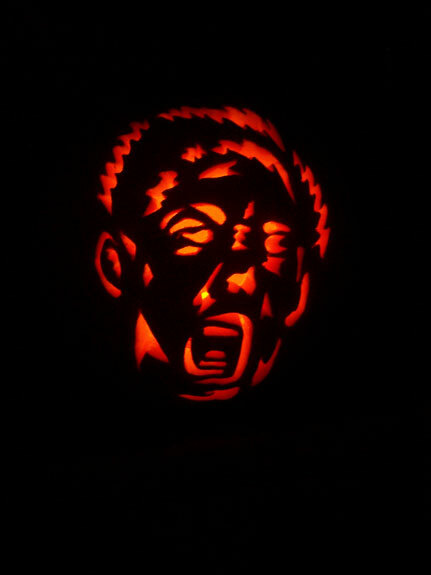 Dempsey, from the Nike ad, carved by Ultra Peanut. 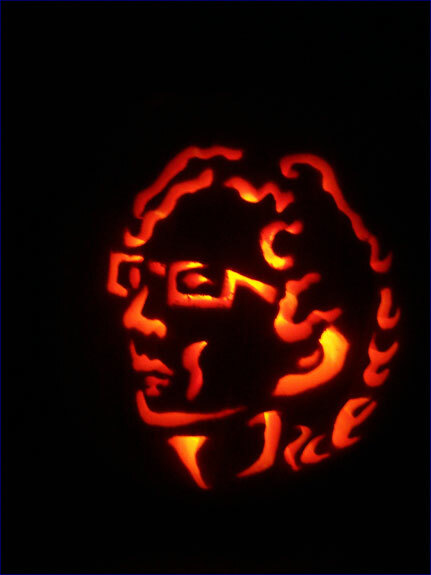 John, looking incredulous at a ref’s call, carved by Magpie. 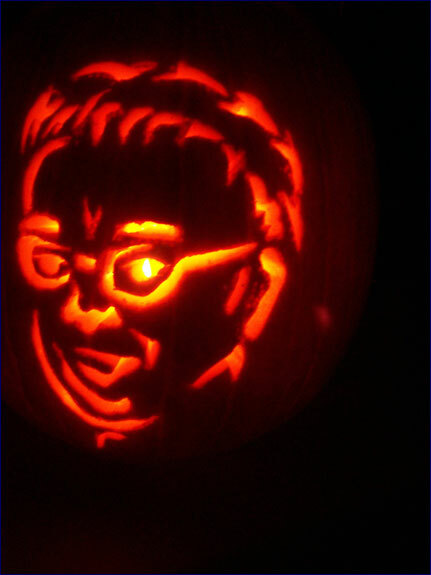 Heaps, carved by Ultra Peanut. 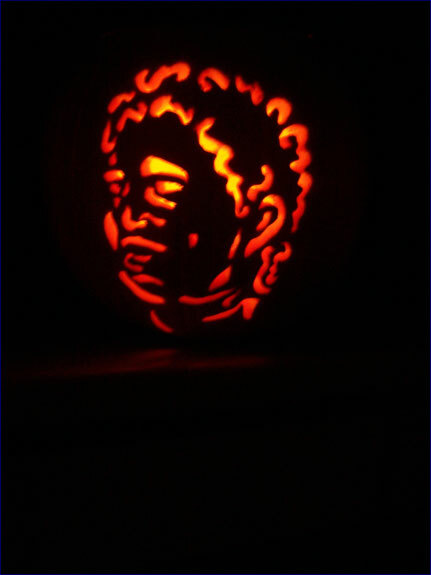 Curly haired ones were fun to do. 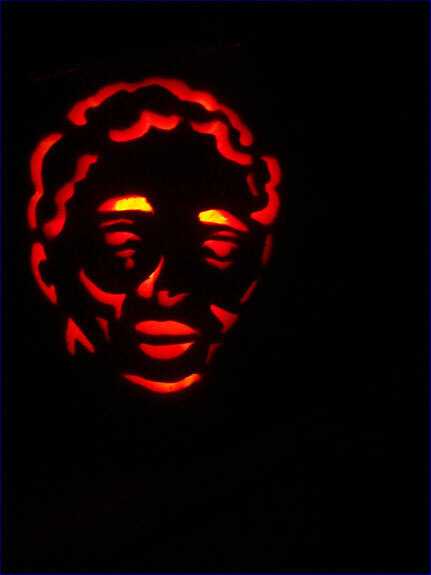 Cancela, celebrating his 11-second birthday goal in June, carved by Ultra Peanut. 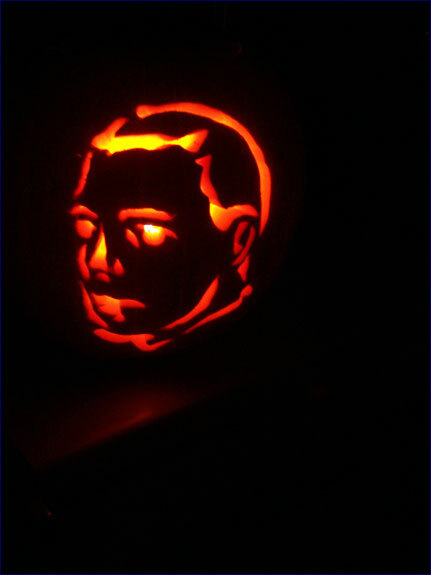 Franchino, looking a lot like JFK, carved by Magpie. 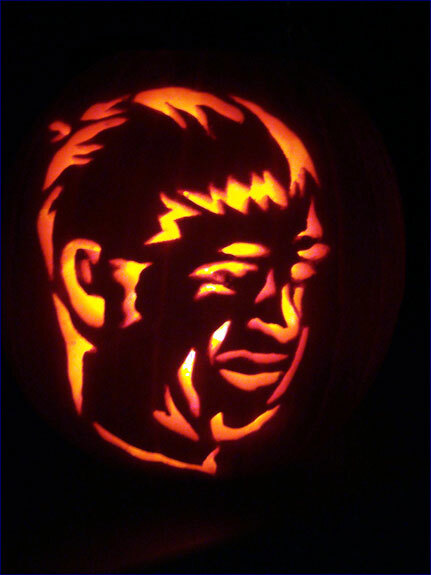 Noonan, with backwards Cardinals hat and all, carved by Ultra Peanut. Doug Warren, carved by Magpie. Best part of this is the cowlick. 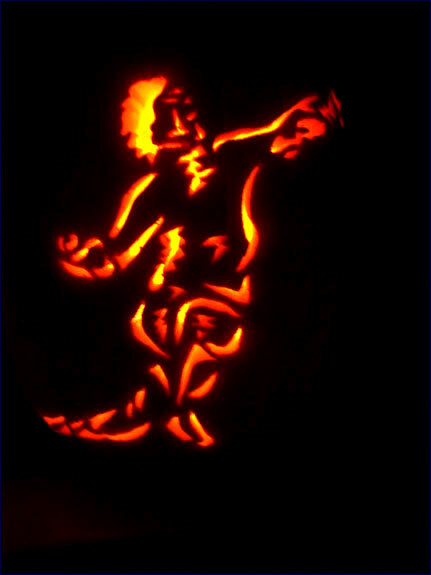 Ralston, also a goal celebration, carved by Ultra Peanut. 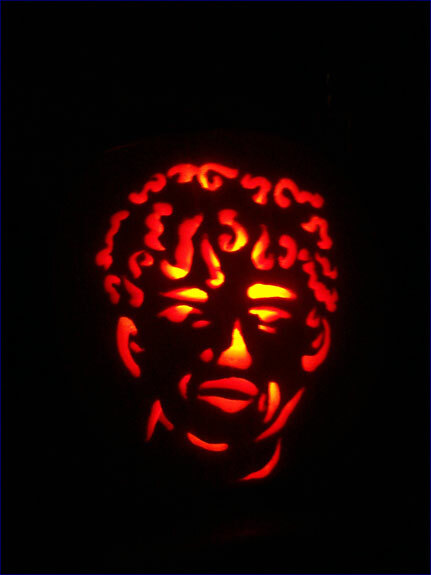 Parkhurst, carved by Ultra Peanut. 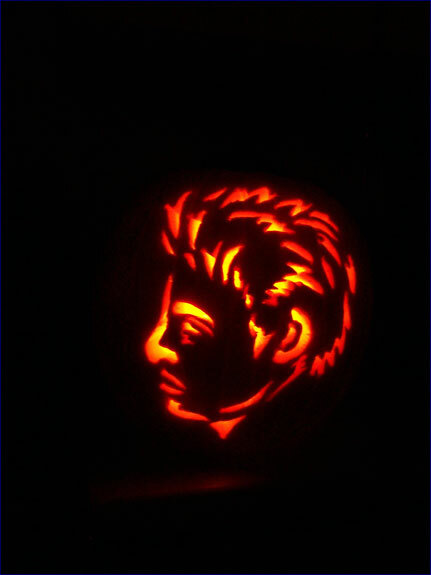 Riley, carved by Ultra Peanut. Kid’s got cheekbones the size of grapefruits. 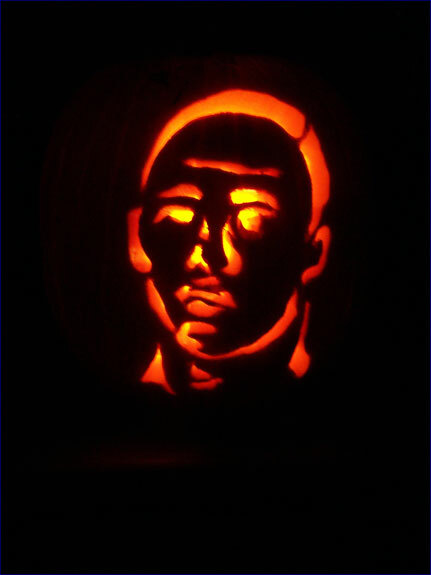 Twellman, carved by Ultra Peanut. Hardest one to do and the first one done, based on a photo of him celebrating his first international goal. Favorite part of this is the left hand. 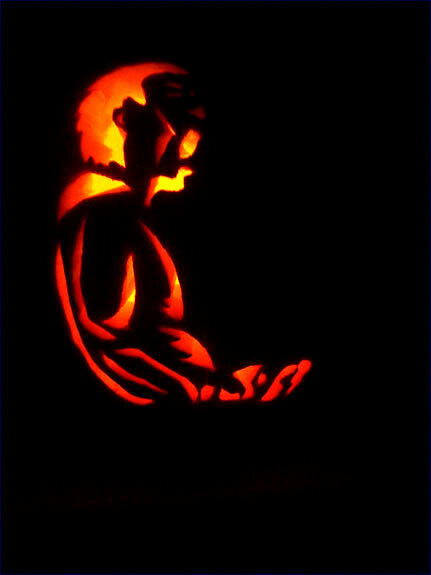 Joseph, carved by Ultra Peanut. 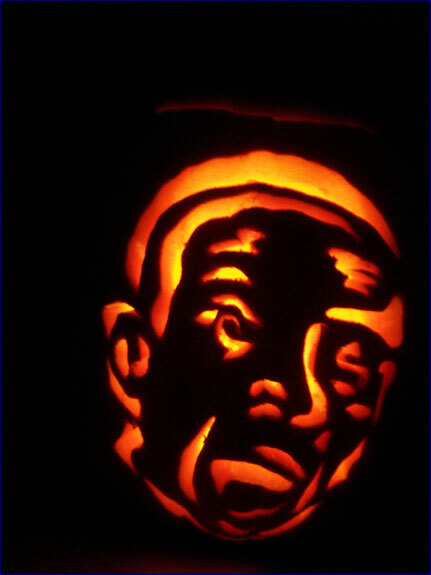 Dorman, carved by Ultra Peanut. Looks like a hedgehog, and this one’s Ultra Peanut’s favorite. 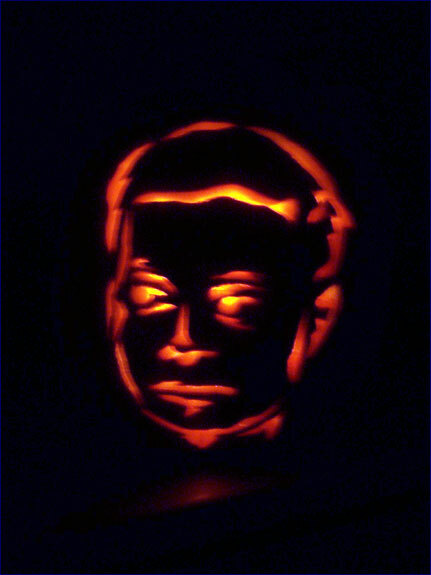 Smith, carved by Magpie. Who knew how he’d swing the game that night? 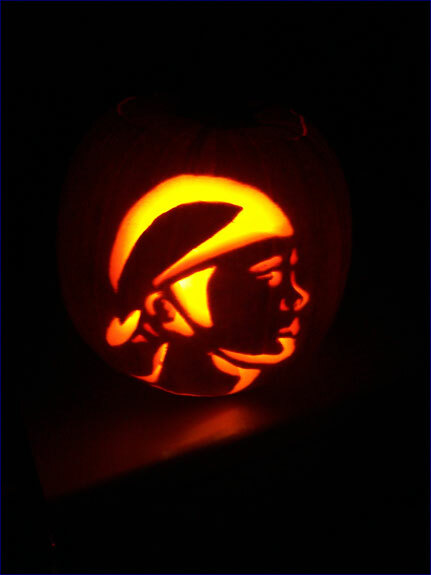 Mariner, carved by Ultra Peanut.